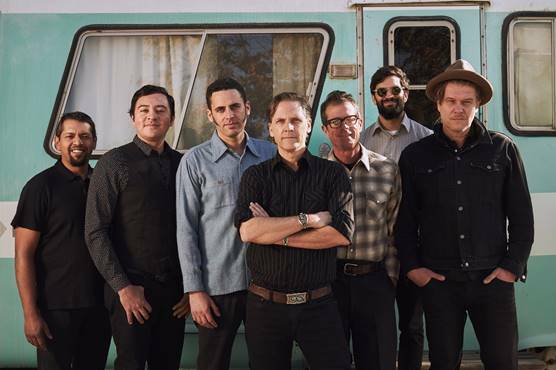 Touring behind the release of their ninth studio album, The Thread That Keeps Us, Calexico will bring their Southwest desert noir back to to Australia for the first time in four years in an extensive national tour. The core duo of Joey Burns and John Convertino will be joined by a band that conjures sounds from the border country and beyond, blending Tex-Mex with Cumbia, Fado, jazz and indie rock. Tickets for the tour go on sale today, Friday, November 9. Melbourne also gets the opportunity to host the return of Calexico with two shows at Melbourne Recital Centre on Thursday 24 and Friday 25 January. Pre-sale tickets will be available via melbournerecital.com.au/events/2019/calexico or (03) 9699 3333 from today and general on sale at 10am Monday 12 November.